Music encourages creativity and builds self-esteem, confidence and emotional well-being. The Aotea Youth Symphony prides itself on providing a friendly and supportive environment where young musicians can learn and grow. We are a community-based youth orchestra, with the primary aim of providing a further dimension to the musical experiences of young musicians outside the school environment in an interesting, educational and enjoyable setting. The AYS consists of two orchestras - the Symphony is for musicians in their teens and early twenties, and the Sinfonietta for younger players. Both orchestras provide the discipline and experience of ensemble playing in a fun and social environment. We expect commitment and dedication from our players, but most of all we’re about having fun with music. If this sounds like you, why not apply to join us today? ​ The Garden Party Concert at historic Alberton in Mount Albert, which was threatened with thunderstorms, actually had perfect weather for our audience and players with beautifully dappled sunlight coming through the magnificent trees. Because the concert took place on St Patrick’s Day it was no surprise that most of the music had an Irish flavour, from the hauntingly beautiful “My Lagan Love” with a flute solo, through to joyous jigs and reels which were perfectly danced by an Irish Dancer. It wasn’t all Irish, other music ranged from Dvorak to Gershwin to Handel, and when the orchestra took a break in the four-hour long performance there were other ensembles to entertain us. 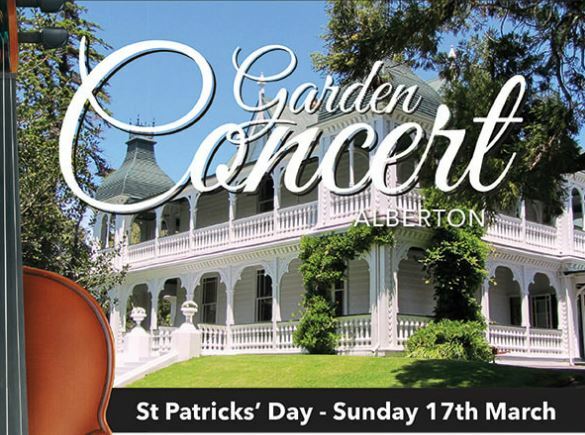 When Alberton was in use as a family home, it often had music in the house, although probably not a full-sized orchestra. The atmosphere lends itself to music and also to living in a relaxed manner and some of our audience took the opportunity and had High Tea whilst listening. An excellent idea. The Aotea Youth Symphony and The Aotea Sinfonietta, assisted by the Selwyn Village Grey Warblers, performed our annual St Matthew's Concert on 27th September. The concert featured work that has been prepared over the year and included two soloists, Jessica Wolff-Wigley playing the first movement of the Bach Violin Concerto and John Donaldson playing Mozart's Piano Concerto number 23. We also featured Angelo De Sousa on the Piano Accordion in Czardas and twelve years old Elijah Yin playing the solo Violin in Scheherazade. Both Orchestras performed exceptionally in the wonderful acoustics of the church, it's such a great place to perform. This was definitely a concert not to miss! On Sunday 29th July the West Auckland Performing Arts Competition finals were held and the orchestra accompanied the Piano finalists playing the first movement of the Bach Piano Concerto. This year the winner was John Donaldson who had composed an original cadenza for his performance as well. Congratulations John. 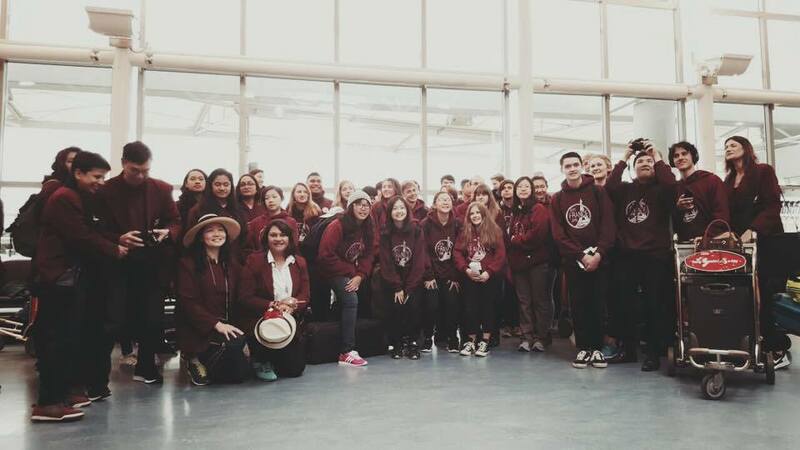 Our long-standing friends from the Colorado Springs Youth Symphony visited Auckland again for a few days from 8th to 12th June. In this short time they managed to fit in a visit to Waiheke and the magnificent Whittaker's Music Museum, a sight-seeing trip around Auckland and a great concert (more later) and social time on Sunday at Te Mahurehure Marae. And after they left us they stayed overnight at a Marae in Rotorua to enjoy the full Maori experience before flying on to Australia. The concert was a joint concert with the Aotea Youth playing the first part, followed by Colorado Springs. This orchestra is picked from nine other musical ensembles that are run by the CSYS organization. They are very accomplished and gave a polished, energetic and entertaining performance, and then the two orchestras combined for the finale. A great day. Word from Colorado is that the players are still buzzing about the New Zealand part of their tour and the hospitality we were able to show them, thank you to our hosting families.